Organizationally speaking, many would consider our work for Company X completed. We’ve identified the disconnect, pinpointed the issue of disengagement, and constructed a sound vision and mission statement for all employees. Our work for Case Study 119 is done, right? Unfortunately, it’s only just begun. Through our work, we’ve found that it takes much more to achieve true alignment from the top down in a corporate structure, especially considering our clients current state of detached employees. Although the statements have been further defined in scope, they still needed to be enhanced for ease of use. The next step; establishing behaviors or guiding statements that supported and reinforced the company’s edict. 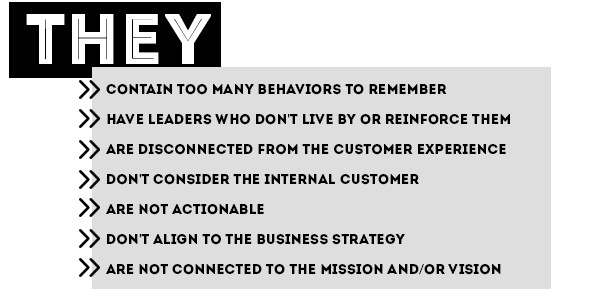 These principles, once constructed, would effectively represent the core values of Company X, and move them one step closer to becoming a values-driven company. 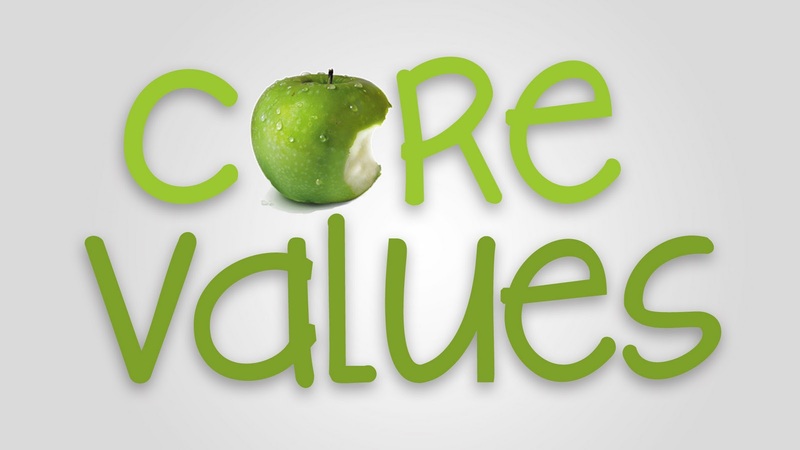 Core Values – The core values are guiding principles that direct behaviors and activity. They can assist employees in deciphering what is right from wrong, help an organization determine if they’re heading towards business success, and create a foundation through guides that align with the vision and mission statements. 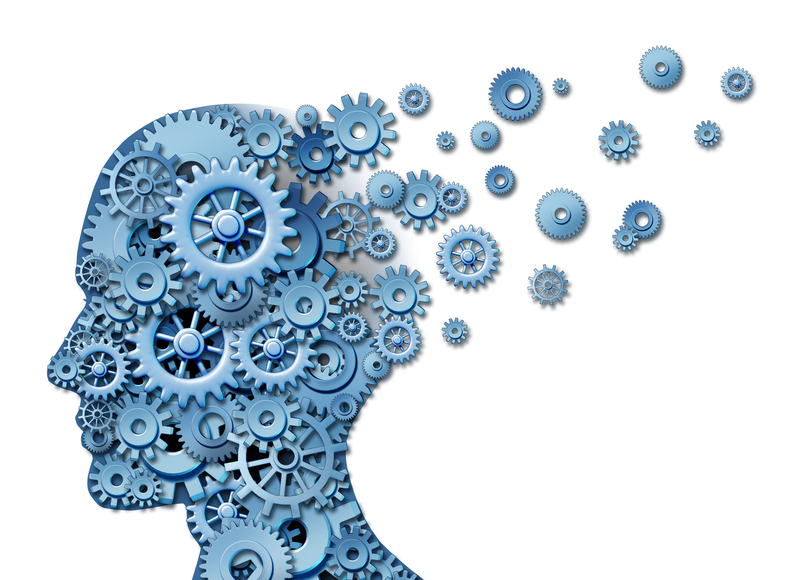 According to our esteemed Neuroleadership mentor, David Rock, no two brains think alike. Using this as a baseline to our research, we knew that information from Company X was not being interpreted in the same way, and in turn had created a rift in the company hierarchy. Contrary to popular belief in executive circles, we find that most employees want to do the right thing for an organization, but can’t seem to figure out what that is. The definition tends to change as different managers have different interpretations, leaving employees frustrated and heading towards disengagement. As we continued to introduce our data and concepts to the management team, we could see a slow shedding of the old thought process. The acceptance of our new vision and mission was thought to be a tough pill to swallow, but now comes the heavy lifting. If Company X wanted organizational alignment with their talent brand, everyone had to understand and accept the new statements in the same light. How does this happen on a macro scale? Constructing core values that help guide the employee population in achieving objectives set by their new vision and mission. Now that we had the management team for Company X on board, it was time to put our research to work constructing their core values. Check in next week as we layout the organizational roadmap for traversing a new vision and mission.